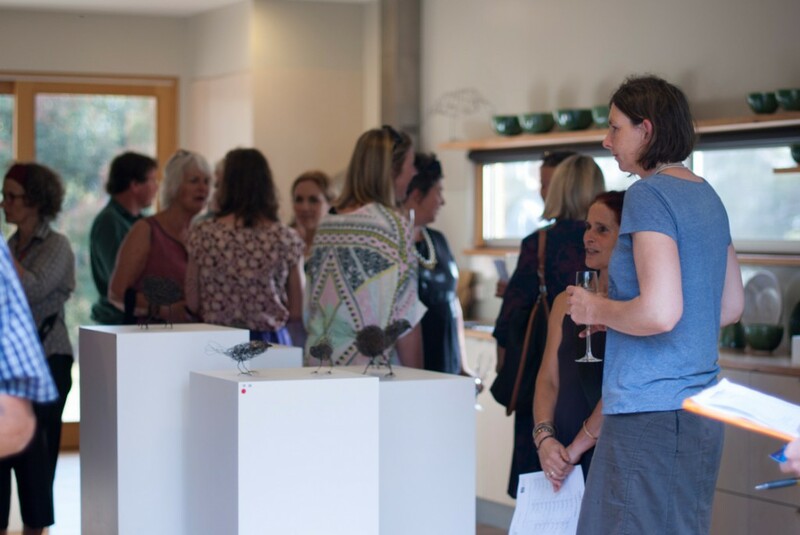 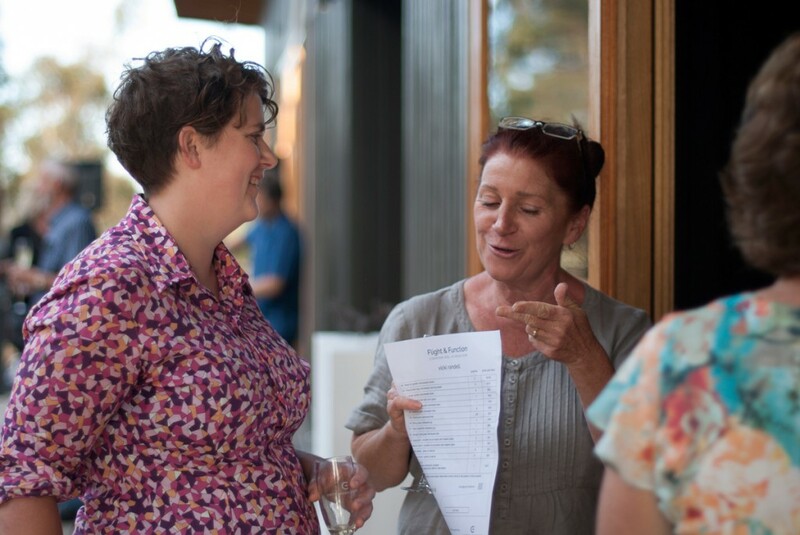 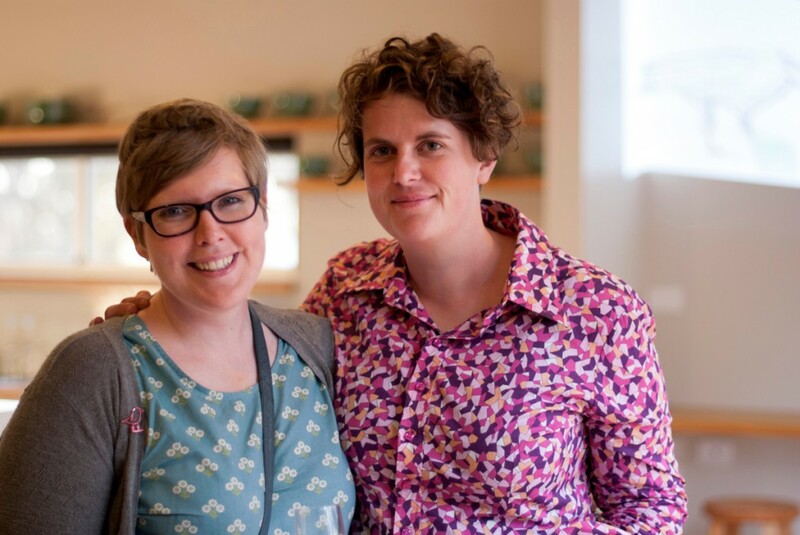 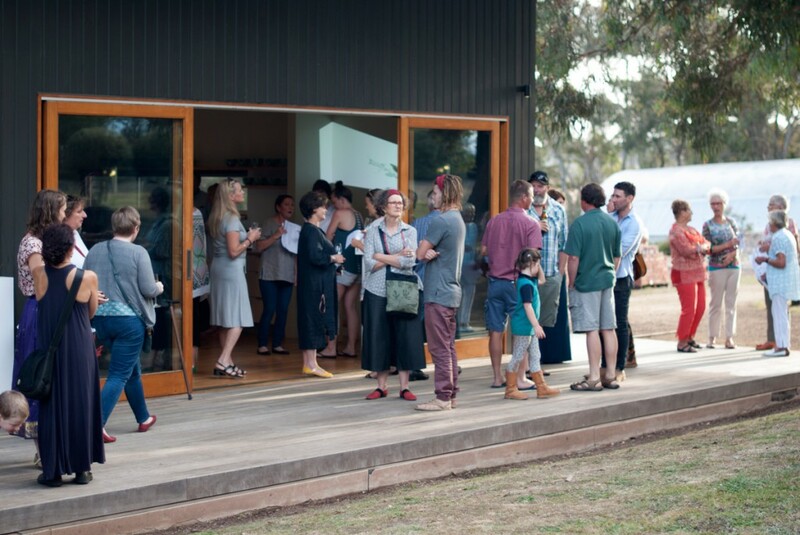 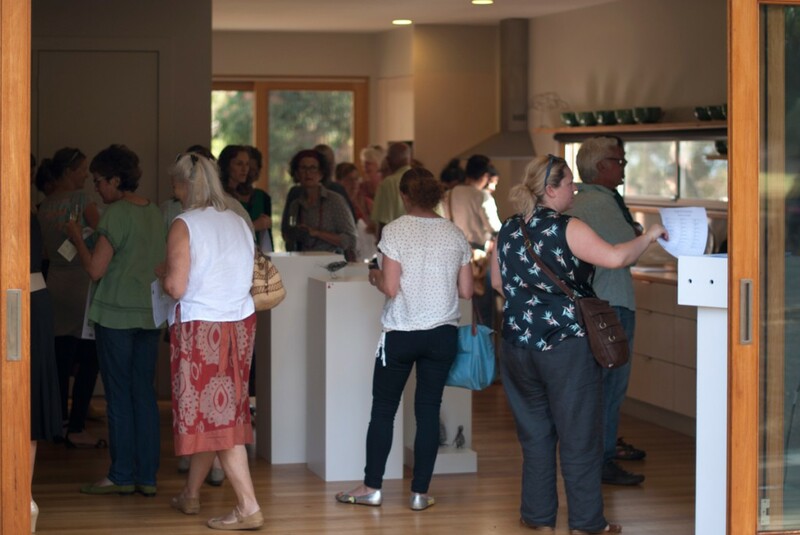 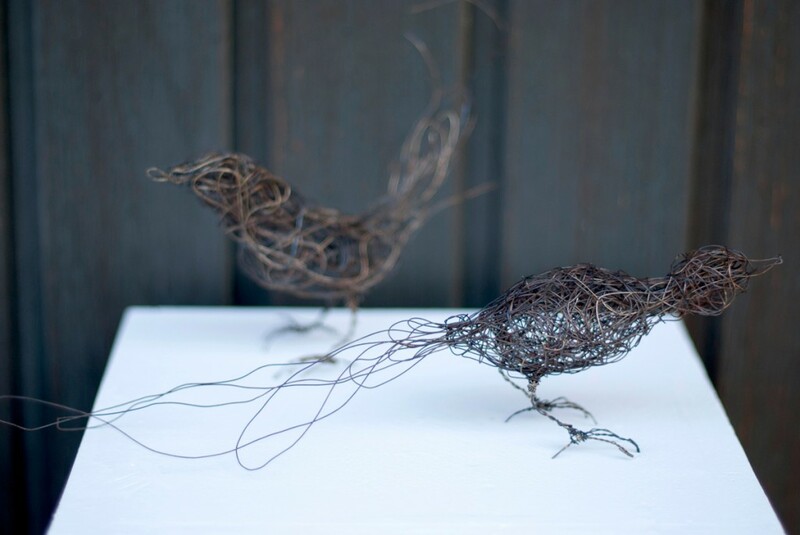 Set in the beautiful Silver Leaf Art Box, Flight and Function brings together the work of two artists who find common ground in their connection to nature but diverge in the materiality and conception of their work. 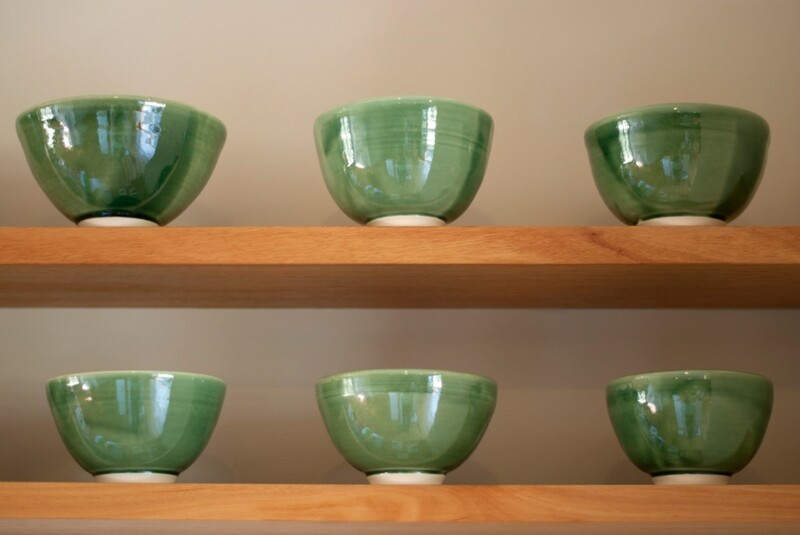 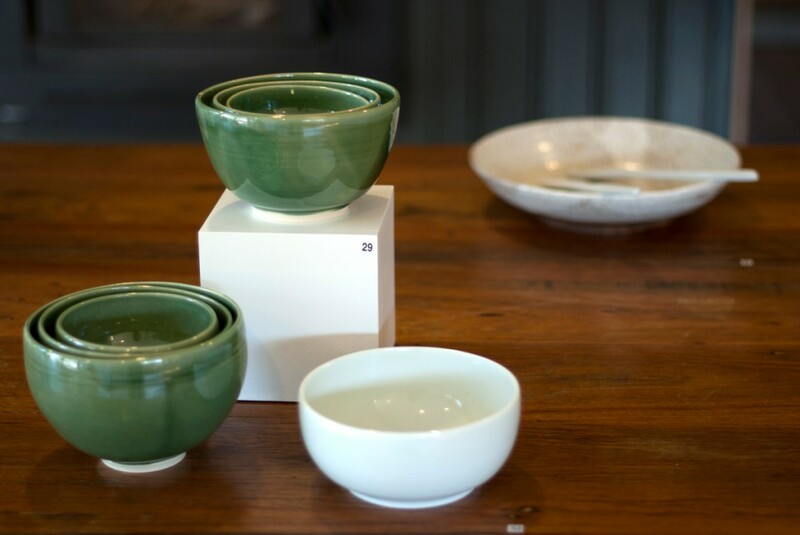 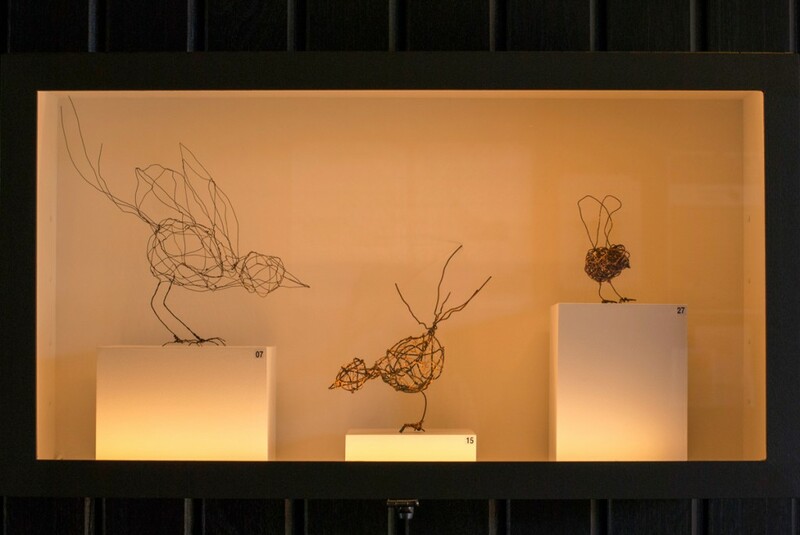 Brooker’s birds are nervous, curious and playful – they are skeletal in their essence and barely touch the ground, while Randell’s ceramic pieces are earthed and dense, richly coloured, smooth and well weighted in the hand. 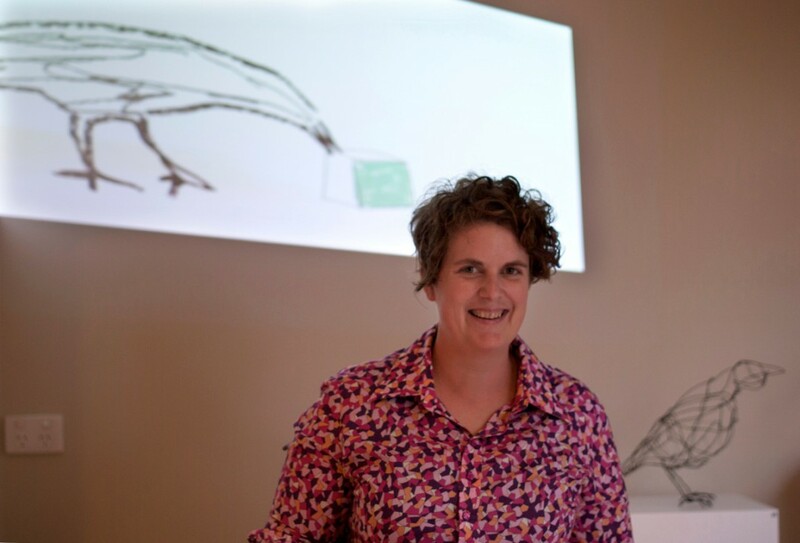 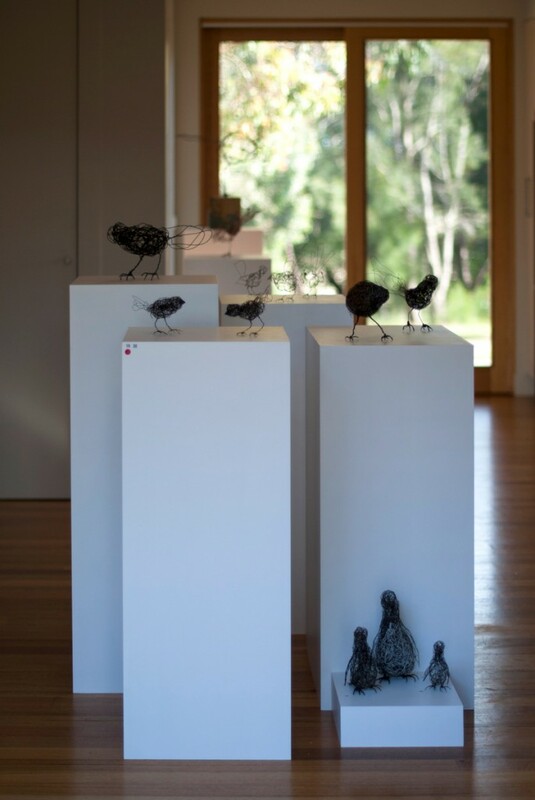 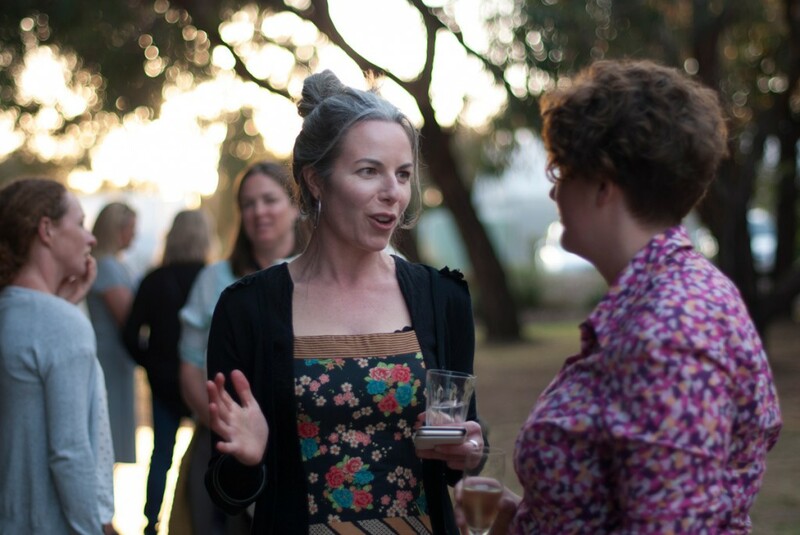 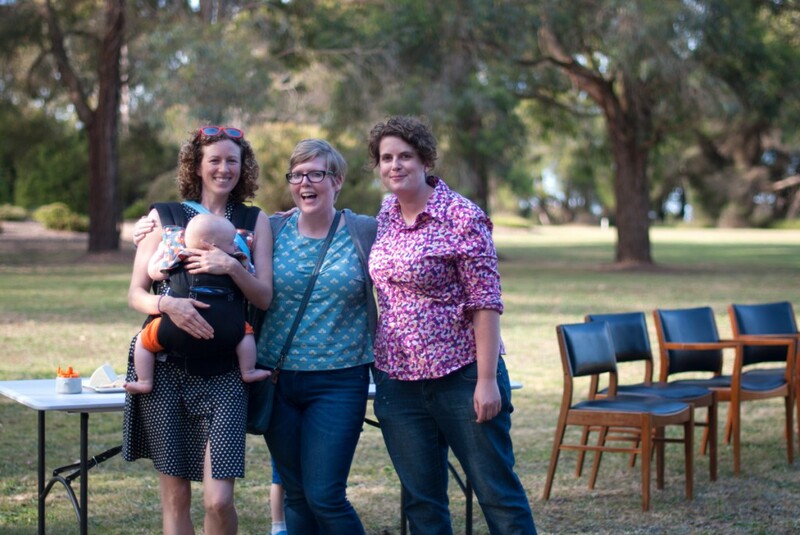 In this exhibition I focus on one of my favourite subjects – birds. 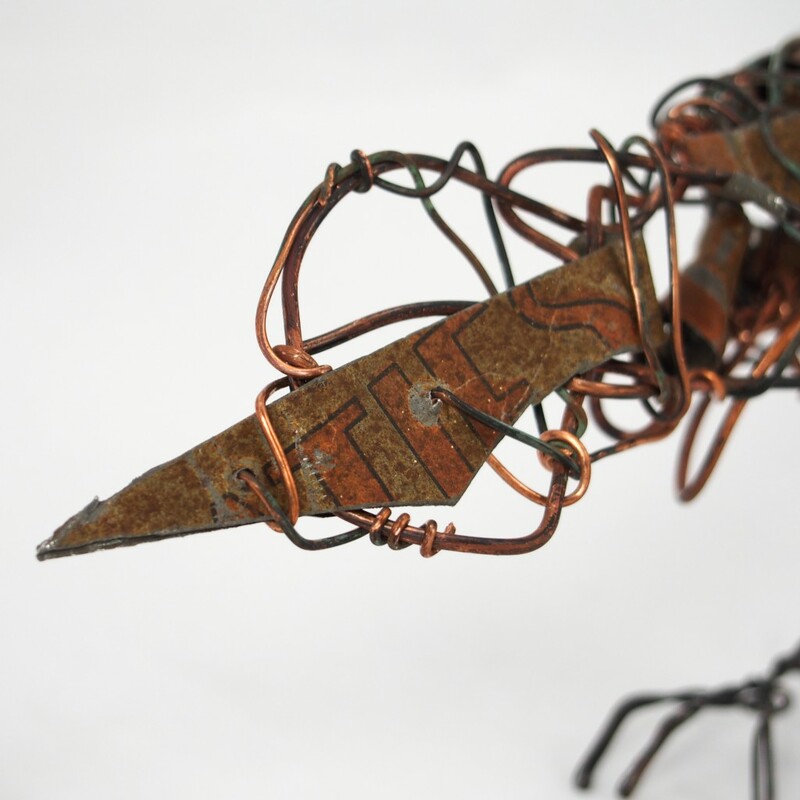 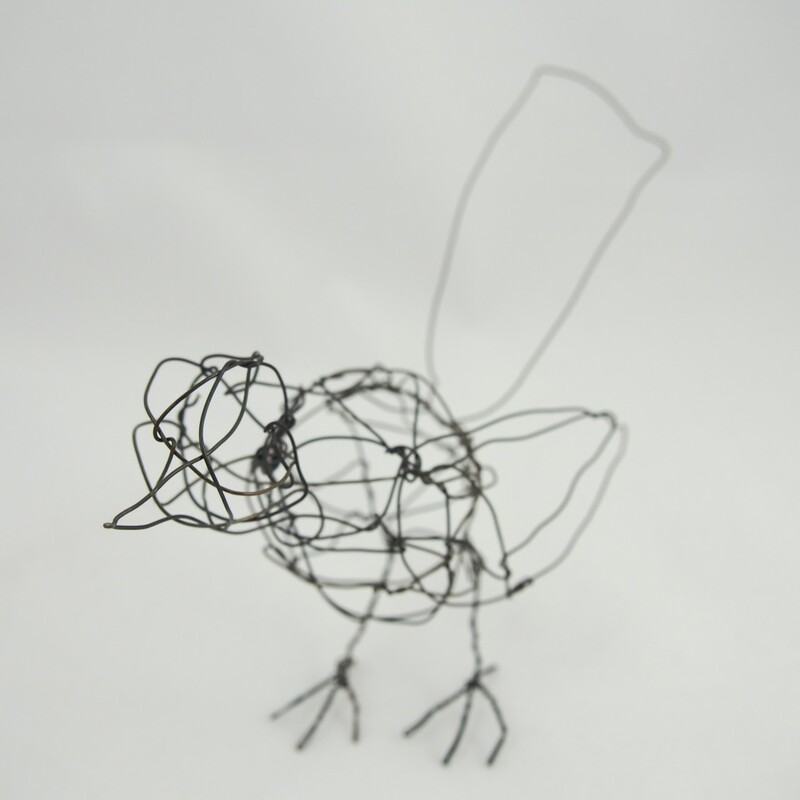 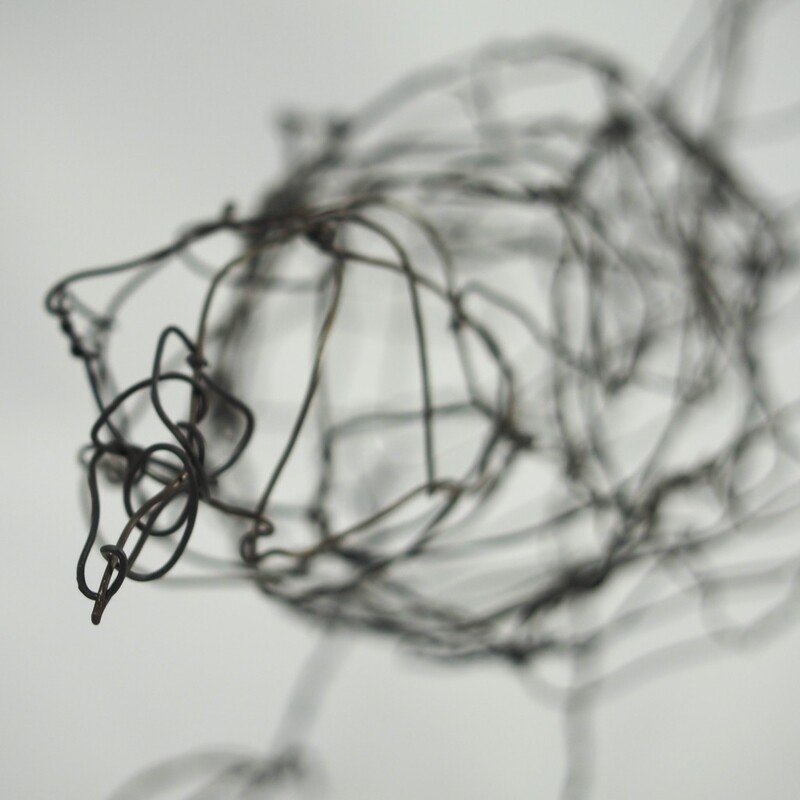 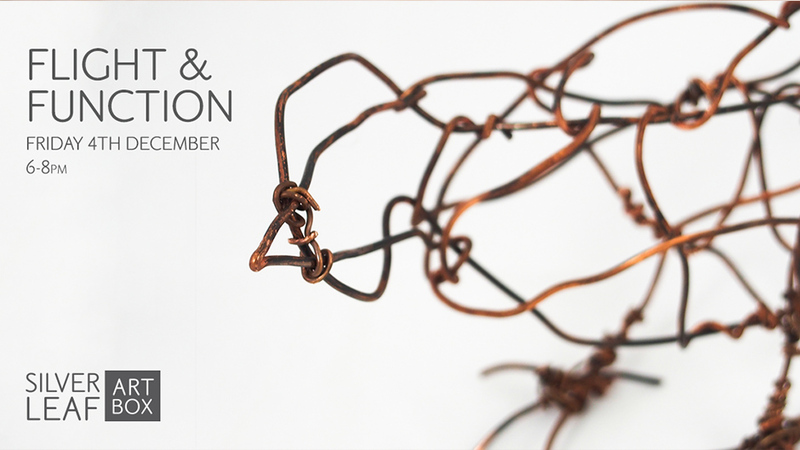 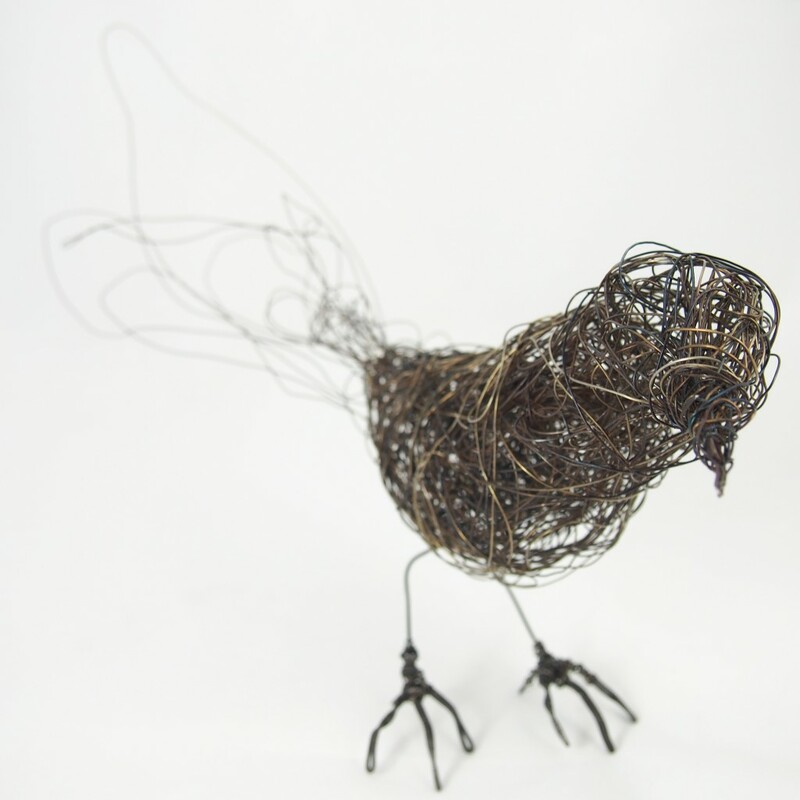 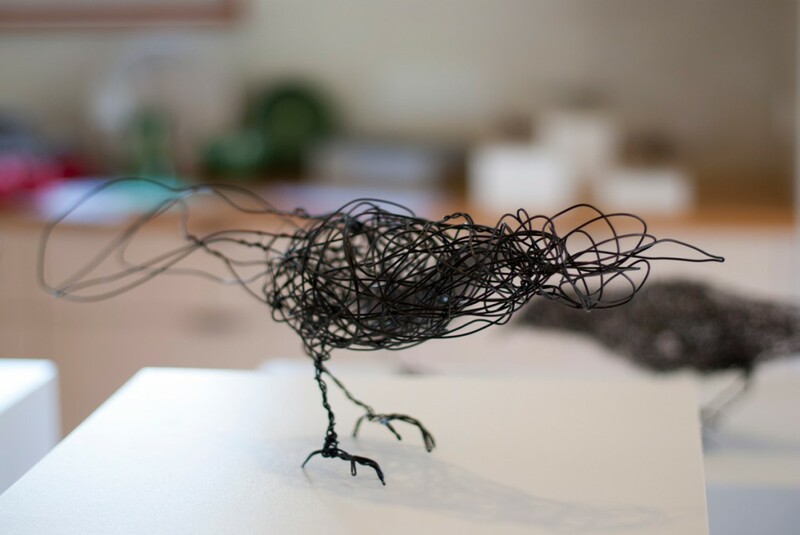 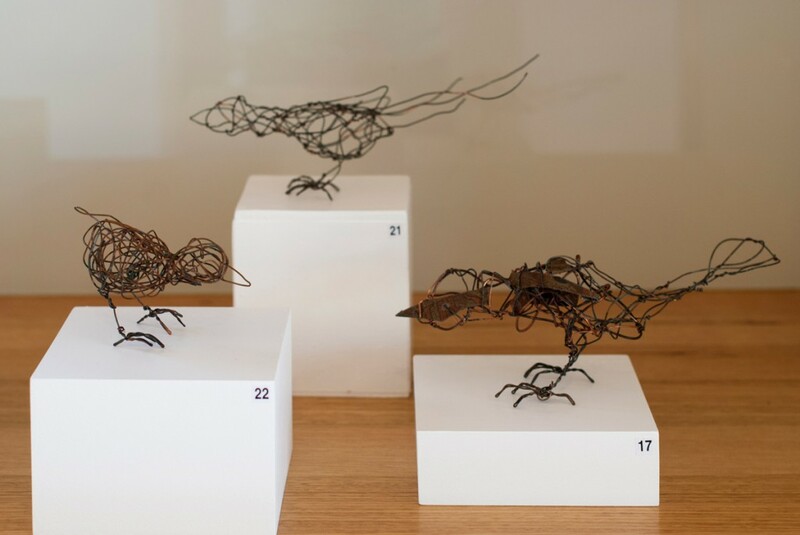 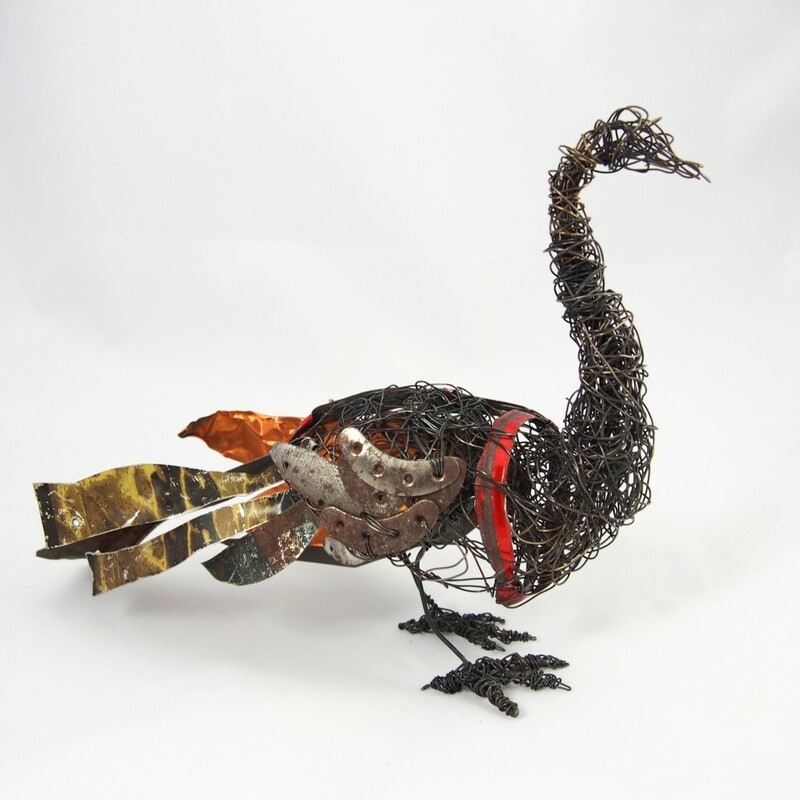 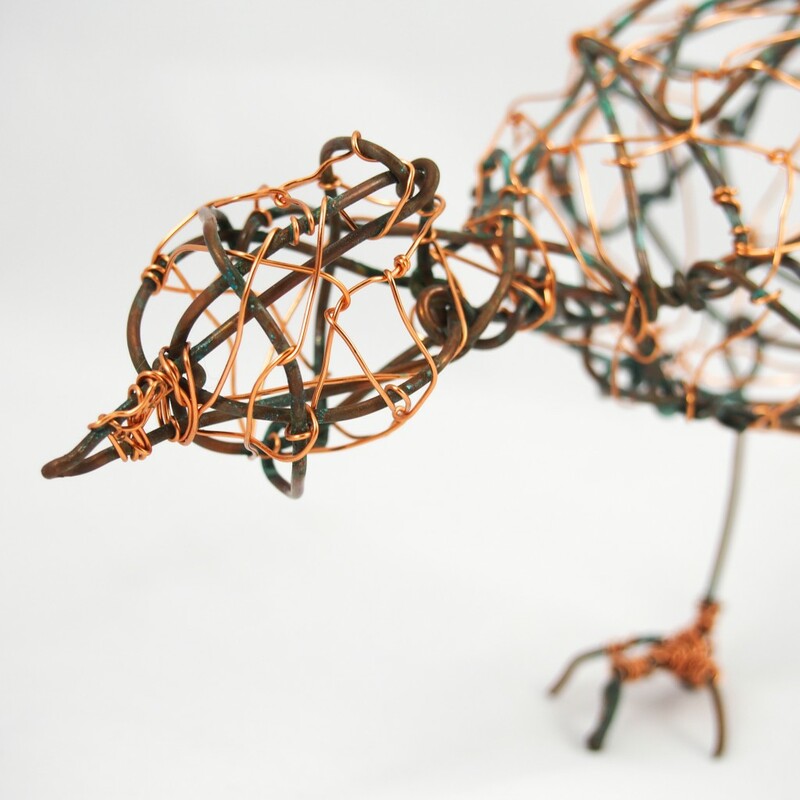 Made from salvaged wire, copper, tin and found objects, these works represent fleeting impressions of bird life in both urban and natural environments.